President Donald Trump is about as subtle as a claw hammer. Two weeks ago, he went to Environmental Protection Agency headquarters in Washington, D.C., to announce his disdain for nearly everything the agency had been doing during the Obama Administration. The presidential criticism amounted to a stunning rebuke of an agency that has, for over 45 years, earned solid marks from Americans for using law to safeguard their lives, communities, and future opportunities. Presidents usually visit EPA to highlight some new initiative to take care of our environmental resources: the air, land, and water on which our lives, and our American prosperity and liberty, depend. President Trump went instead to lash the agency, demean its staff, and challenge the bipartisan legal legacy that has made Americans more prosperous and free by protecting their public health. Picture the Trump/EPA moment as the President of the United States flashing his big, fat middle finger at the agency. This month marks the 48th Earth Day. Throughout April, in events large and small, choreographed and spontaneous, Americans join their fellow passengers on Spaceship Earth to salute what Apollo 8’s astronauts, on Christmas Eve 1968, fondly called “our good earth.” Now that the President of the United States has publicly trashed EPA, our premier environmental law enforcement agency, we should think a little harder about how our lives, our communities, and our legacy depend on environmental law. EPA began in 1970. A very different kind of Republican president, Richard M. Nixon, created this new agency by welding pieces of other, older federal agencies into a single force combining environmental science, education, lawmaking, and enforcement. Of course, that was big news. And those were very different times than today. But we should widen our focus on EPA and 1970 a little to get the full story about the agency, to understand how radically disruptive and destructive President Trump’s environmental actions appear, and to appreciate how hard they will be to carry out. A little history about environmental law in America will put 1970 in perspective, situate EPA in a long and proud governmental tradition, and link today’s environmental challenges to those our grandparents faced after World War II. 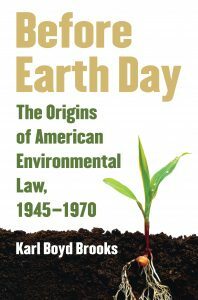 A decade ago, I began writing Before Earth Day: The Origins of American Environmental Law. I wrote the book to answer a simple, but surprisingly elusive, question: where did American environmental law come from? I’d taught the subject at the University of Kansas (KU), to both undergrads and law students, for a number of years. I’d studied the American legal system and American environment systematically since beginning my history PhD work at KU in 1996. And I’d spent much of my adult life working in and around law and the environment as a lawyer, elected legislator, and citizen activist in my home state of Idaho. 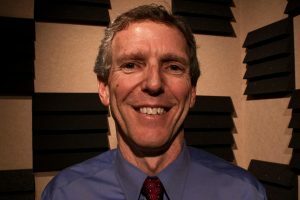 And yet, despite some three decades of immersing myself in the challenges we create by living on this earth, I had no more clear idea about environmental law’s back-story than on the day I started law school in 1980. Even if you’re not a lawyer, and even if you don’t put yourself in the “environmentalist” camp, you probably know a little about the famous federal laws that help keep us healthy and productive: the 1970 Clean Air Act, the 1972 Clean Water Act, and President Nixon’s 1970 pen-stroke that created the United Environmental Protection Agency. My book took a look at the “environmental decade” of the 1970s and found some important precursors to all those important laws. In fact, the more I looked into American environmental law’s “origin story,” the less I believed 1970 was the be-all end-all of the story. 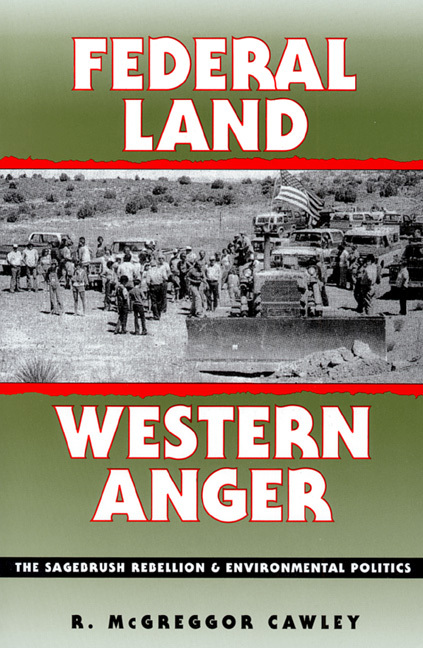 My book didn’t mean to diminish the hard-working, creative, and determined Americans who took up the fight against pollution and waste and injustice as the Seventies dawned. What Before Earth Day did is actually make those pioneers more traditional and less revolutionary, and their many accomplishments therefore more durable and defensible. Law doesn’t just “happen.” Rules don’t appear spontaneously. Systems don’t come from nowhere. Environmental law, like environmentalism itself, emerged somewhat slowly after 1946. And like the ideas, imagery, and rhetoric of environmentalism, the principles and practices of environmental law have one foot planted in cautious tradition and one foot planted in bold reform. In fact, one reason why environmental law has stuck around so long is its very distinguished pedigree. Some of our most important environmental law principles date back to the early 20th century. Others emerged during the New Deal’s darkest days and the postwar era’s bright promise. We should appreciate American environmental law for the careful, thoughtful, incremental advance it represents over the earliest American attitudes toward the natural world. 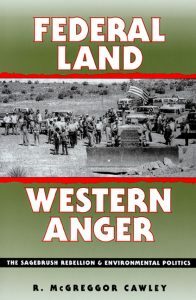 At the origin of the American Republic, most laws encouraged people to own, use, and waste natural resources and systems. As late as 1900, few laws restrained factory-owners from pouring their waste into the air, water, and landscape. Even in the 1950s, government agencies – federal, state, and local – could plow a roadway through a wetland, or pour chemicals onto a forest, without telling neighbors, sharing the basis for their decision, or accepting constructive criticism. By 1970, though, even “Before Earth Day,” all those older ways of doing business (and damage) to the natural world had been replaced or substantially modified by the legal system we know today. President Trump may complain that dredging a wetland takes too long and emitting air pollutants has gotten too expensive. But that’s what environmental law has gained for us: breathing space, health benefits, and public participation. President Trump and EPA Administrator Pruitt have announced drastic plans to shear off many key environmental law principles and to slash EPA’s capacity to make and enforce environmental law. What may restrain them as much as public outrage and business indifference (just check out how the energy industry has voted with its investment dollars against coal and for wind) is history and tradition. EPA may be only 47 years old, and it may have appeared when men tended their sideburns and women tottered on their platform shoes (not so different than today), but the underlying legal rules, principles, and precedents are far older. With roots that run so deep in American legal, cultural, and political soil, POTUS and Pruitt will find it harder than they imagine to tear up our environmental law system.